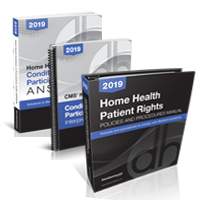 The 17-year total overhaul of CMS’ Home Health Conditions of Participation (CoPs) is complete – and four new categories, a raft of new standards, and new interpretive guidelines are in effect – is your agency ready? The only resource you need to help you rapidly get up to speed, implement new processes and avoid hefty CMS penalties at your next survey. The most recent version of CMS’ CoPs and the corresponding Interpretive Guidelines (IG) reprinted in an easy-to-use format to simplify your job. This product provides an easy-to-read hard-copy reference of CoPs, and their related IGs and G-tags, for easy quick cross-reference. 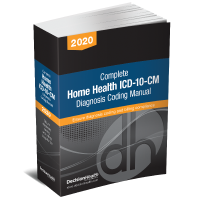 Written by a well-known home health attorney, Robert E. Markette, this manual will help you get started with implementing compliant patient rights policies and procedures.